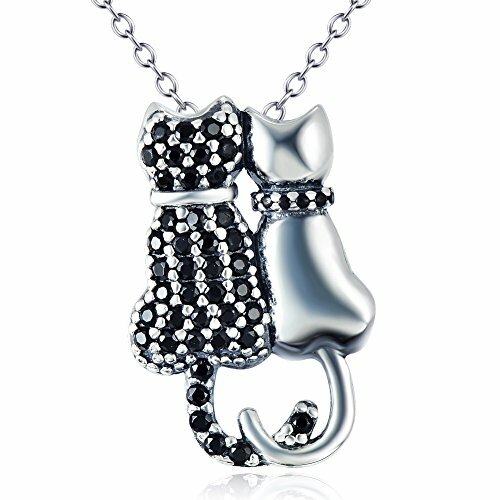 DESIGN CONCEPT: Two beautiful cats pendant necklace which is designed for cat people. PACKAGING: Gift box and Polishing cloths to protect jewelry . Package size :3.25 inch. x 3.9 inch. x 1.95 inch.